We are one manufacturers, wholesalers and exporters of a wide range of best quality Exclusive Fancy Sarees and Suits. Owing to their trendy design, vibrant color combination and appealing appearance, these suits are highly demanded. 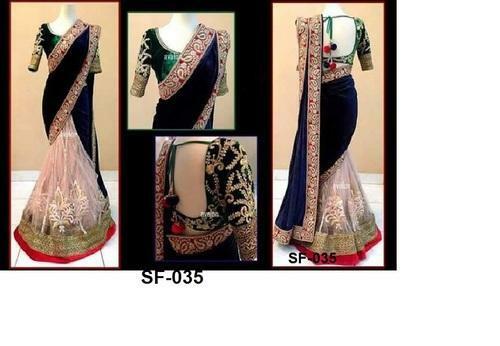 By keeping track with market development, we are engaged in manufacturing, exporting and wholeselling a qualitative assortment of Printed Saree, Designer Printed Saree, Net Saree, Lehenga Saree, Ladies Dress Material, Gown Style Salwar Kameez, Embroidery Saree, Embroidery Salwar Kameez, Cotton Salwar Suit, Bridal Saree, Bridal Party Wear, etc. We are also dealing with agencies such as Bothra Group. These products are designed using high grade fabric and advanced technologies as per the international quality standards. Our products are highly appreciated by our clients for their features like easy to wash, shrink & tear resistance and exclusive design. We offer timely delivery of these products, at very competitive prices.